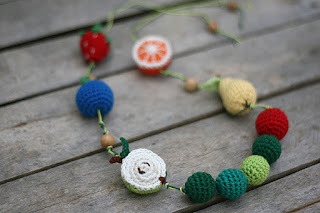 Nursing necklace inspired by the very hungry caterpillar story. 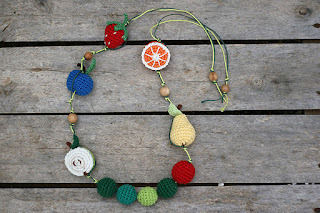 The necklace keeps a baby busy while babywearing or feeding. 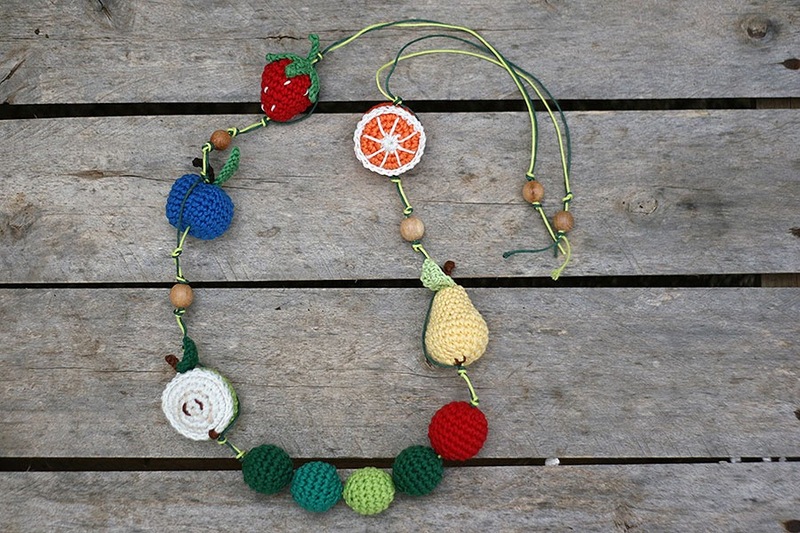 The caterpillar made with juniper wood beads and crochet covered with 100% cotton Italian yarn. Juniper wood beads are known with its fragrance and essential antibacterial properties. 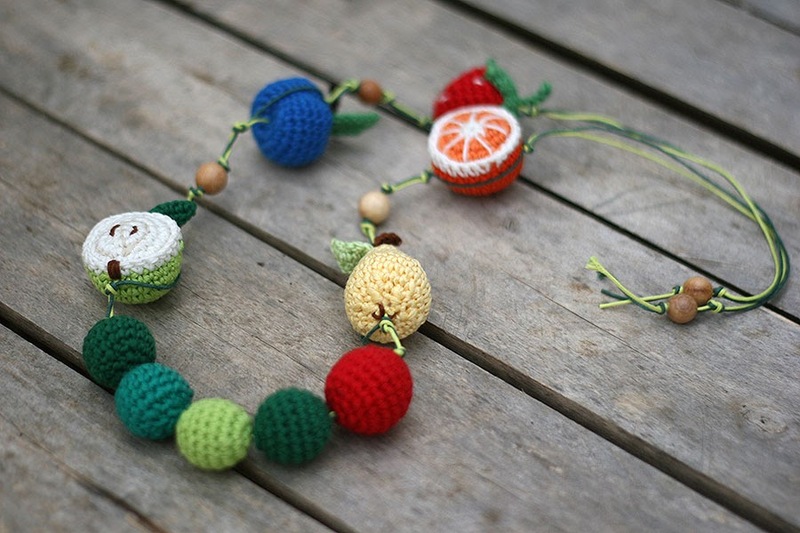 Fruits are hand crocheted and stuffed with polyfill. 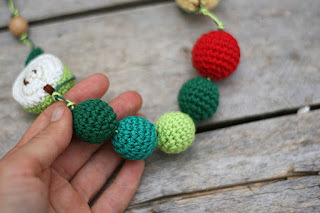 All the elements strung on durable cotton cord.